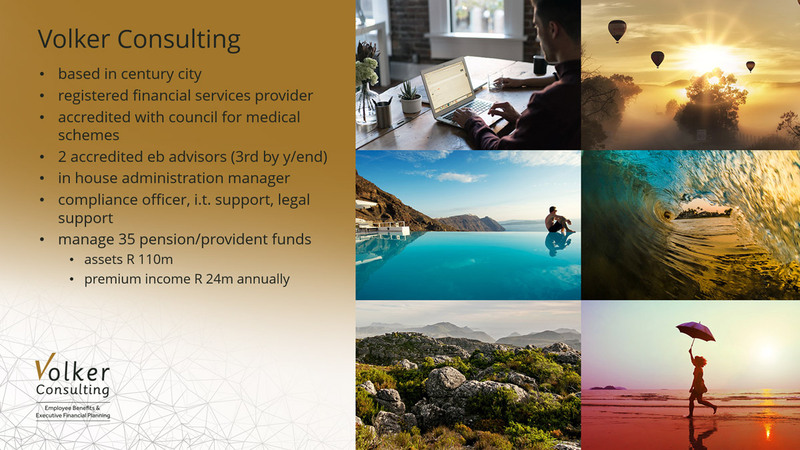 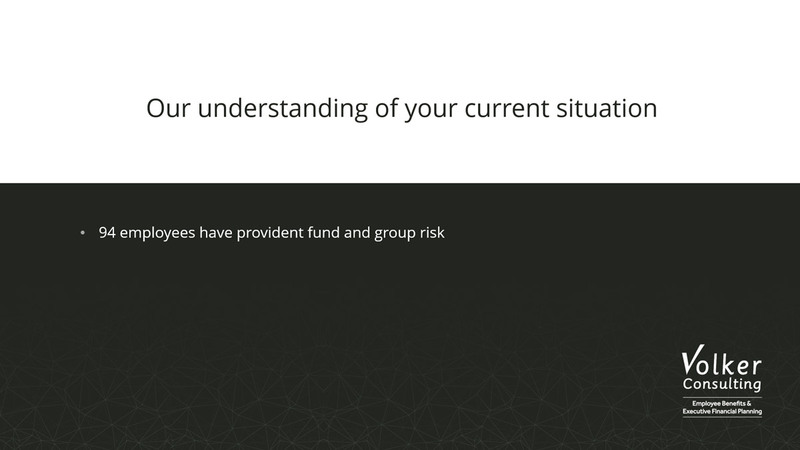 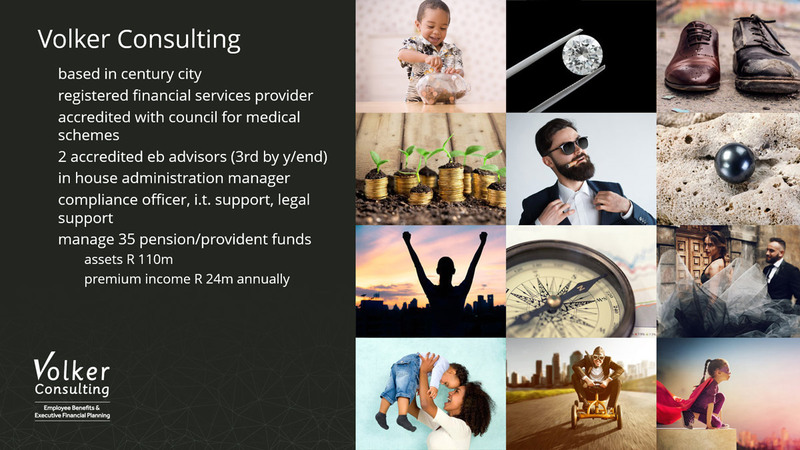 This project is a corporate identity for a financial planning practice in Cape Town. 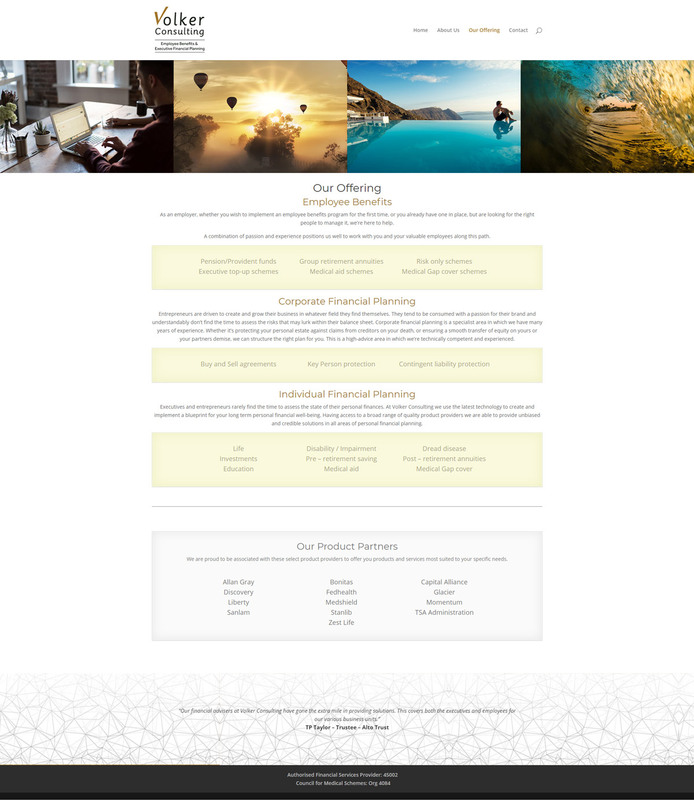 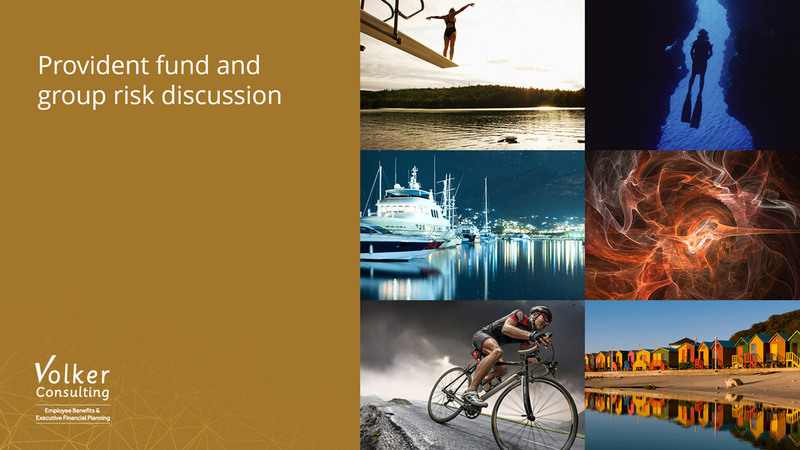 From logo to PowerPoint, we found a balance of formal and fun. 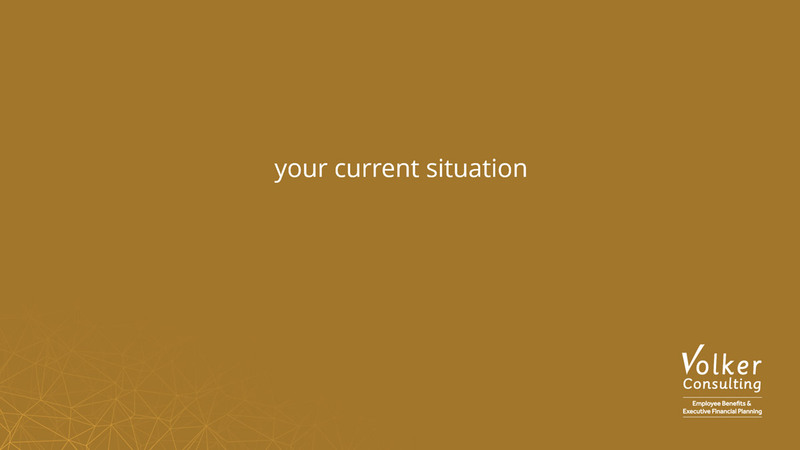 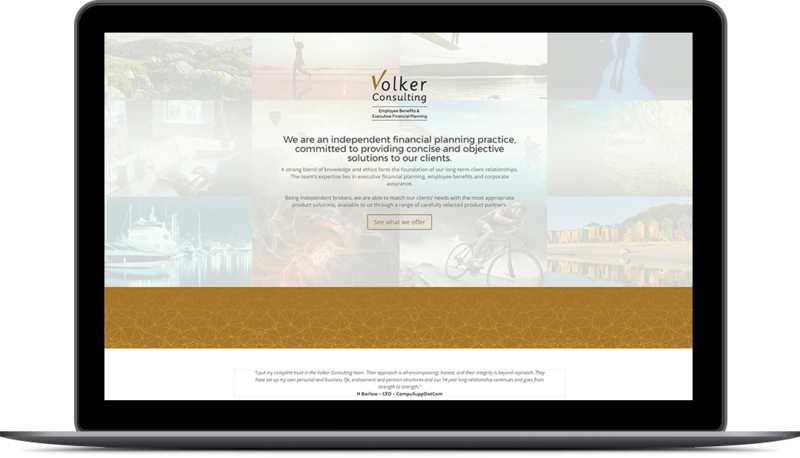 The website is small and direct with enough to give their typical customer enough to take action. 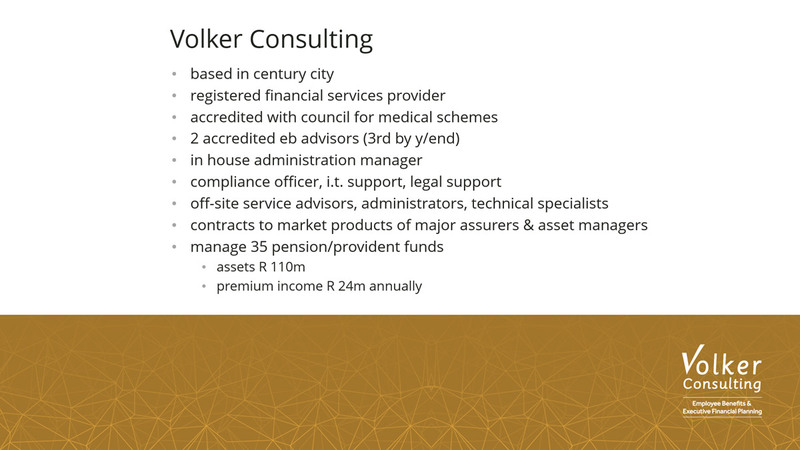 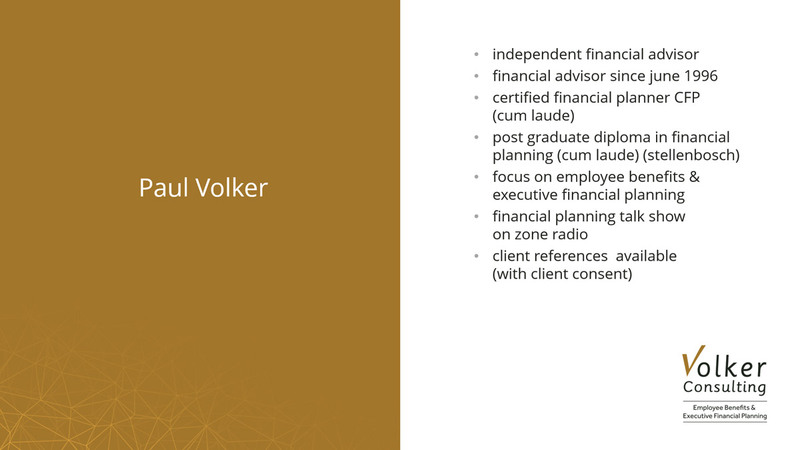 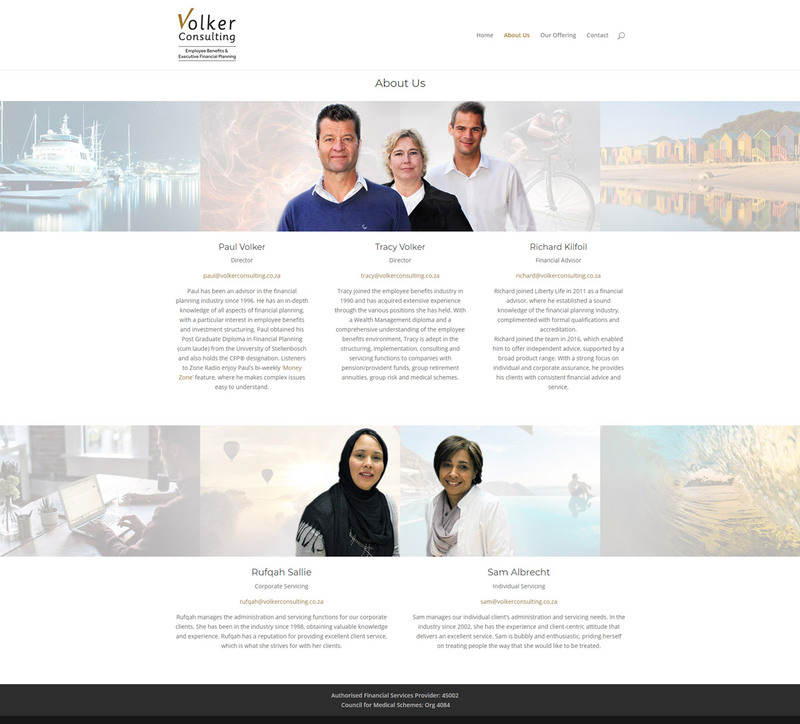 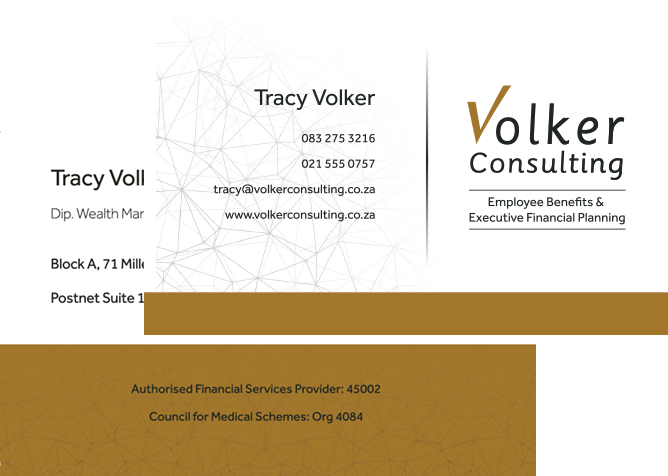 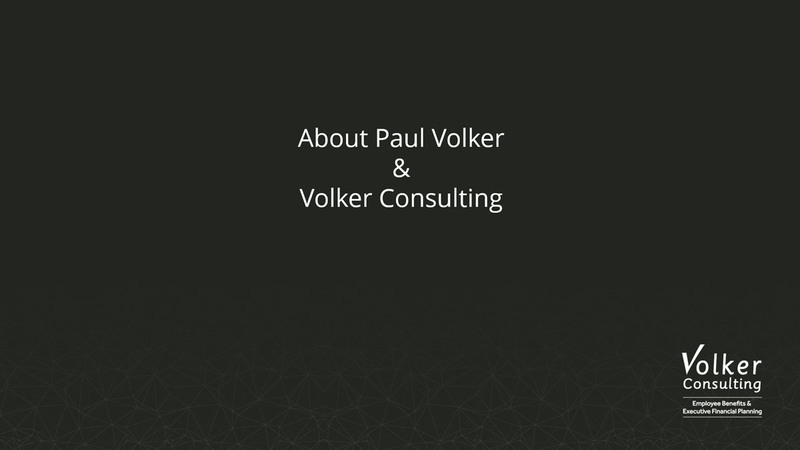 We did business cards, folders, letterheads and email signatures for Volker Consulting.